Take Measurements – The space where the door is to be hung has to be measured accurately to select the right size door system. The door(s) also need to be measured to determine what height the track has to be mounted above the door for proper operation. Select the Appropriate Hardware – Hardware should be selected using the weight of the door. 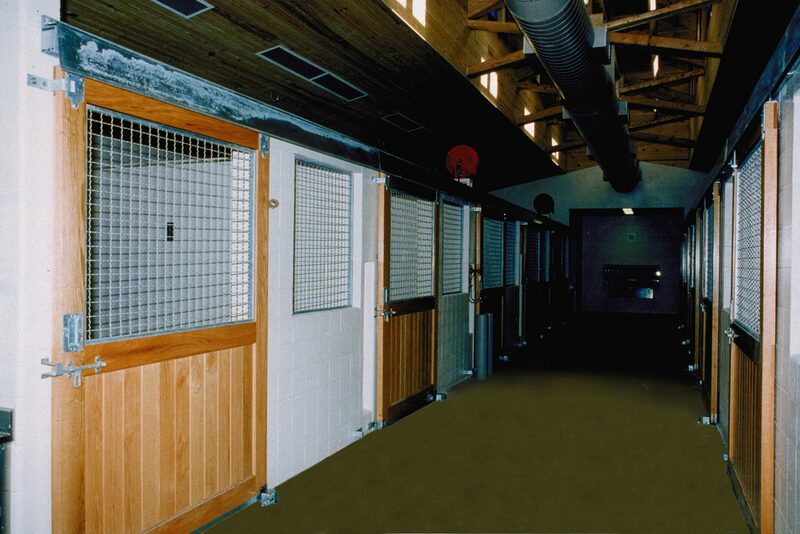 Track systems are designed to support specific door weight ranges. You should never use a system that falls outside the weight range of the door. Determine the Track Capacity – The track capacity is calculated using the weight of the door. For instance, in a single door system, you would choose the track that was within the weight range of the door. In a dual door configuration, some people accidently assume you double the weight of the door for the track. However, you would install two separate tracks, so you would select the track system using the weight of one door since each door will be attached to its own track. Install the Door Tracks – The door track is installed over the area where the door is to be installed with excess track to allow proper opening clearance of the door(s). Mount Door Hangers to the Door(s) – Each door requires a pair of door hangers for proper operations. You should only install two hangers per door, regardless of the size/weight of the door; otherwise, the track system can be damaged. Attach Hangers into the Track System – Slide the door hanger with the door attached into the system. Install End Bumpers – To prevent the door from being rolled out of the track, you want to install end bumpers on each end of the track system. Determine if a Track Canopy Is Needed – Track canopies are metal or wooden structures enclosed over the track system to protect it from the elements. Keep in mind, this is a basic overview of the installation process. Your installation could vary based upon the application and location of installation. 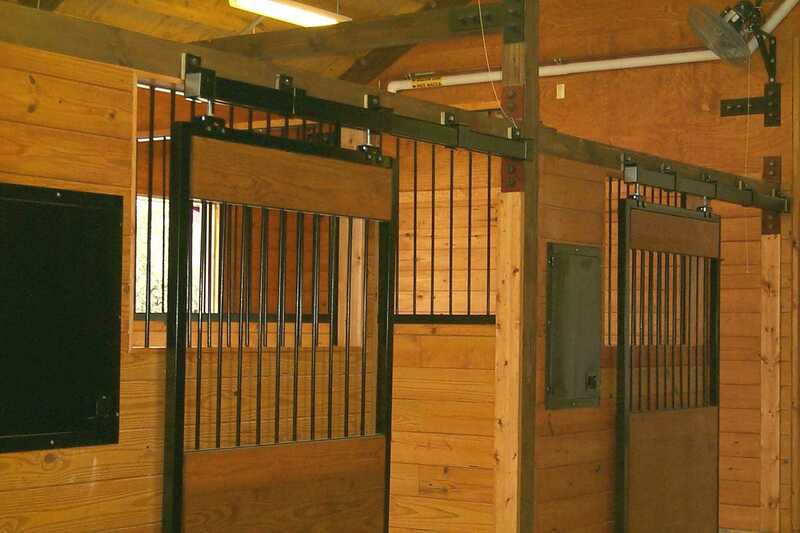 In addition, flat track door systems are limited in capacities to door weight ranges from 400 to 800 pounds, and heavier doors require extra heavy duty systems. For assistance in selecting the right sliding door track systems or to custom design a solution, call RW Hardware at 800-253-5668 and speak with one of our door hardware experts!